A well designed, offset litho printed colour brochure never fails to impress. All the senses come into play, the pleasure of holding it and turning the pages, the smell of fresh print. With a digital version, it’s quick and easy to distribute, but you do not have complete control over the way the document appears to the person who opens it. The experience will be variable depending on the screen quality of the device being used and the resolution. Image size has to be reduced with PDFs (low resolution) to keep the file size down and the layout is usually more text based, to suit screen viewing. A printed brochure is a physical presence, a reminder, to be kept and to referred to, long after a meeting is over. It is easy for customers to pick one up from a display stand. When you send it out by mail, you give your customer the good feeling that comes with receiving a gift. 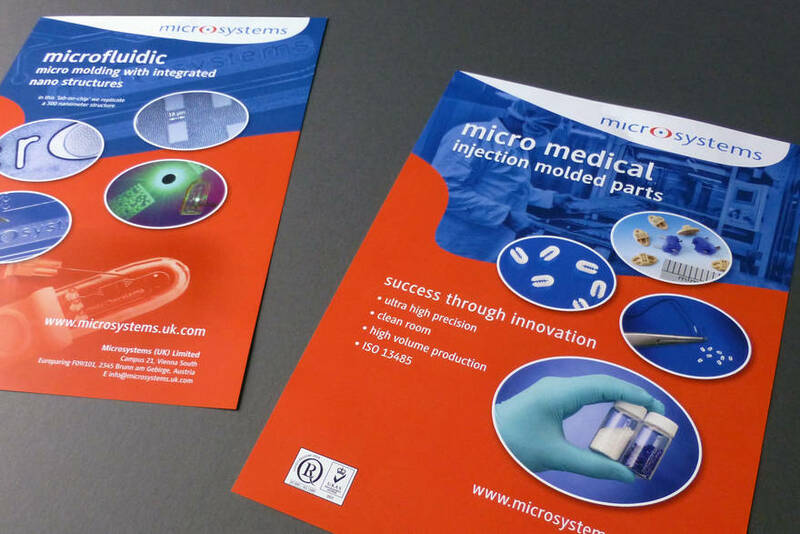 If you include your brochure with other documents, it can elevate the whole presentation to make a lasting impression. High quality, colour print is now relatively low cost. Glossy full colour high resolution images are rich and detailed. When these are displayed creatively in a printed double page spread, they can look stunning. The main benefit of having a PDF version of your brochure, is the speed of delivery and accessibility. You can send it by email and make it available as a resource on your website. Everyone wants information quickly and a PDF brochure can be downloaded in seconds. With the latest tablet devices, such as the iPad, the screen is so good, that when you are reading text it almost feels like you are looking at a printed book. The incredibly successful iPad (launched in 2010) has built-in support for the PDF format. This means that a PDF document received by email or opened from a PDF link on a website can be read on an iPad without the need for a dedicated App.